Cosplayers rejoice, Halloween Madness Cosplay is back! Attention cosplayers! Halloween is just around the corner so get your costumes ready as Ace Centerpoint brings back the Halloween Madness Cosplay. 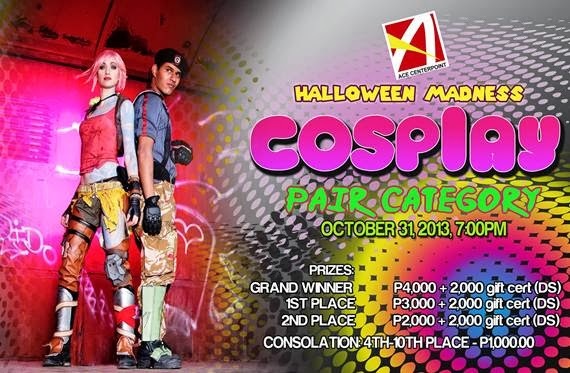 Its the second year that Ace Centerpoint is holding this cosplay competition in Koronadal City. 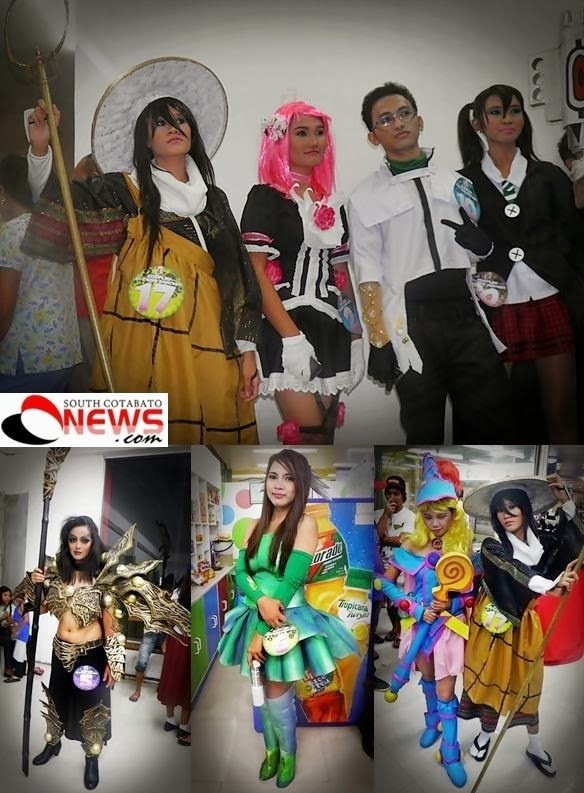 Last year's Halloween Madness Cosplay gathered more than 50 cosplayers from all over South Cotabato and neighboring places all dressed like their favorite anime characters making the event very successful. 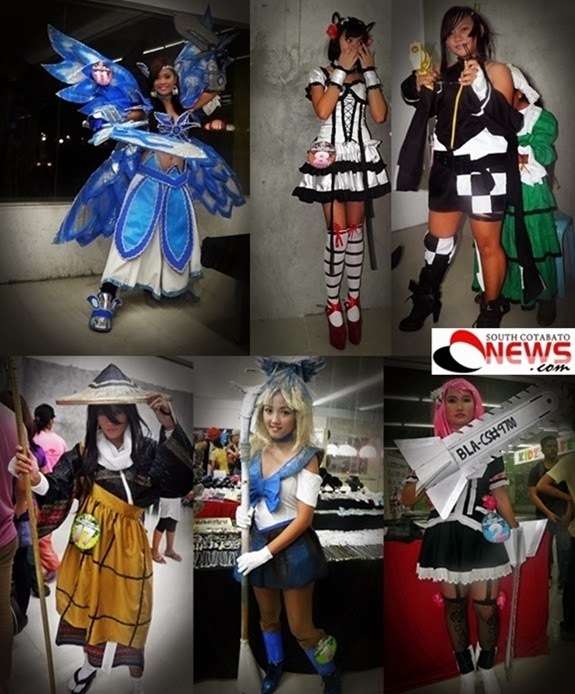 The following photos are taken during last year's Halloween Madness Cosplay contest by Ace Centerpoint. 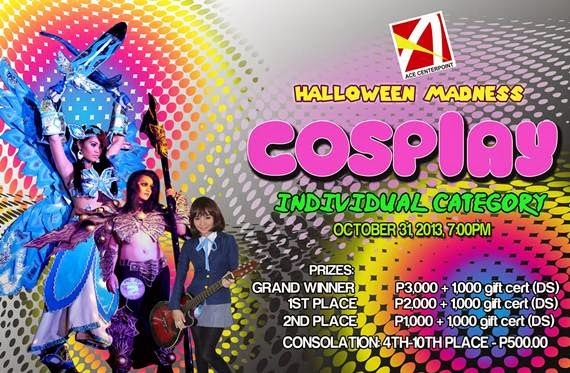 The Halloween Madness Cosplay will be held this coming October 31, 2013 7:00 PM. It is divided in two categories - individual and the pair category. 1. The Cosplay costume contest is open to all Ace Centerpoint customers 12 (twelve) years old and above. 2. Interested contestants may pre-register at the ground level Customer Service Counter of Ace Centerpoint or register on-site on October 31, 3013 at the designated registration area. (Customer Service Counter from 10:00 am to 1:30 pm) Contest will be during the Midnight Sale of Ace Centerpoint on October 31, 2013 at 7:00pm. For contestants 17 years old and below, please present a letter from your parent/legal guardian allowing you to join the contest. Pre-registrants must confirm their participation by approaching the registration table on or before 1:30 pm of October 31, 2013. Deadline of contest registration is at 1:30 pm at the event date. 4. The Cosplayers from the Pair Category must cosplay characters from the same title. Pair cosplayers are not allowed to join the Individual Category. Crossovers of characters for Pair Category are not allowed. 5. Cosplayers shall be held responsible for their props at all times. Metallic, bladed props and pyrotechnic props are prohibited. Cosplayers will be held liable for the damages within the department store as a result of negligence in handling and use of cosplay props. 6. Cosplayers are encouraged to portray characters that can be enjoyed by all ages (general patronage). Costumes that are deemed by the organizing team to be incident for public viewing shall not be allowed to join. 7. Cosplayers are required to have their mannequin pose for 30 minutes inside ace Centerpoint. a. Craftsmanship (40%) - creativity and innovativeness in use of materials and in costume construction. b. Performance (30%) - execution, acting and ability to stay in character. c. Accuracy (15%) - precision and closeness to the character compared to the reference photo. Individual Cosplay Contestant will be presented one by one and be given 1 (ONE) minute each to present themselves before the panel of judges and Pair Cosplay Category will present themselves in duos given 2 minutes. 9. Participants are required to be at the venue 1 hour prior to the scheduled time of the event for final briefing. 10. The judges’ decisions are final and cannot be appealed. In case of a tie, the Cosplay management team, in consultation with the judges shall determine the final winner of the contest. 11. Registration and participation in the Cosplay contest institutes that the Cosplayer give the right and the authority to Cosplay organizers/staff, its sponsors and authorized press media to take pictures and/or video of registered Cosplayers and will be sole property of the organizers/staff, its sponsors and authorized press media to be used for the future publications and/or advertizing promotions.